The Tri-Boro Food Pantry (formerly known as the Pascack Valley Food Center) is going through some redevelopment. I stepped in as the new treasurer for their emergency board. 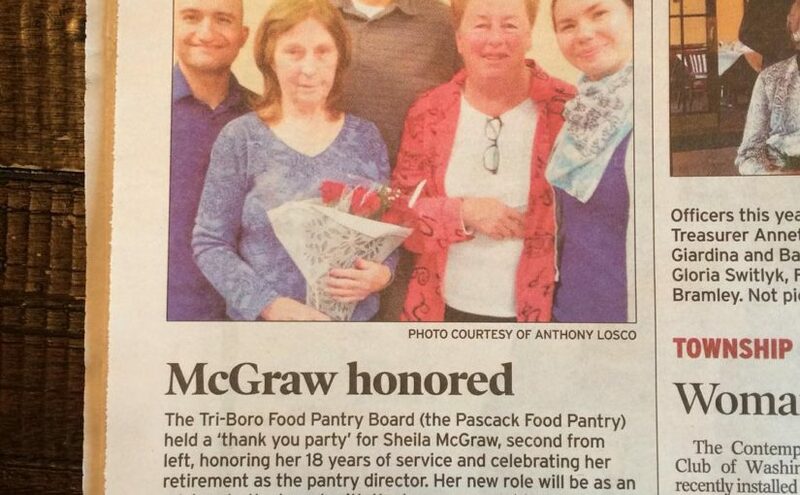 On May 16, 2016, we appeared in our local community paper (Community Life), honoring our long-time director. My head kind of fades into the paint in the wall. Previous Previous post: A Crowd: a sermon on Trinity Sunday, Jesus, and what a faith journey can look like.